See the timepiece above? Yeah, that's not a smartwatch, but a... smarter watch. complement the looks of any true gentleman or lady. In the meantime, it's hard to deny that one can only benefit from certain aspects of the modern-day smartwatch. To be honest, smartwatches and their analogue forefathers have been co-existing for some time now, one more than the other of course, but these have rarely mixed. Yes, analogue watches are not that smart, but they have a certain undeniable charisma, and often, stylish design that complement the looks of any true gentleman or lady. In the meantime, it's hard to deny that one can only benefit from certain aspects of the modern-day smartwatch. Fossil is a popular watch making company best known for its analogue timepieces, but it has already took a plunge into smartwatch land. 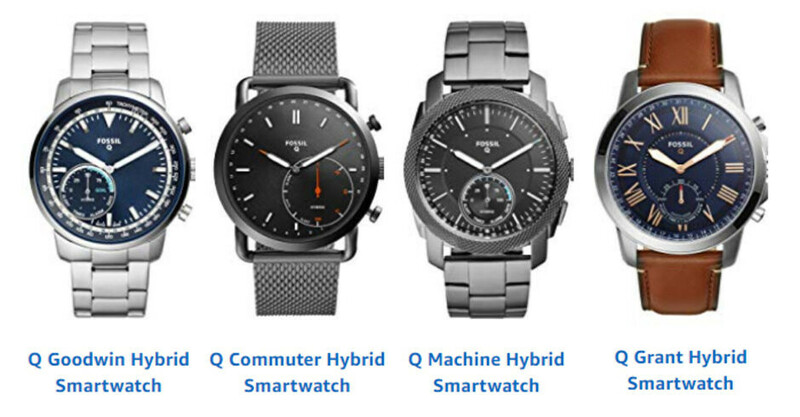 It has a few wearables in its portfolio, and the more interesting among these are the analogue Q Grant and Q Pilot ones. These regular mechanical watch, but they have a multitude of sensors on board, as well as a relatively-bright, multi-color LED notification light at the bottom of the case. A vibration motor will also notify you about anything of import. These Fossil watches will measure the calories you've burnt and the steps you've taken; additionally, you can set a different color for each app that is allowed to push notifications to your watch. Bluetooth 4.1 LE is used for connectivity; both iOS and Android devices can pair with the watches. There is a 27mAh battery inside Q Grand and Q Pilot, which will last for roughly 7 days. Have in mind that this battery is only powering the smart functions of the watches — they will not stop showing you the correct time, as they have quartz movement. Design-wise, Fossil has made its hybrid watches water-tight up to 3ATM. The 44mm round case is 15mm thick and made of stainless steel; you can pair it with any standard 22mm strap. Check the pricing and available versions below. 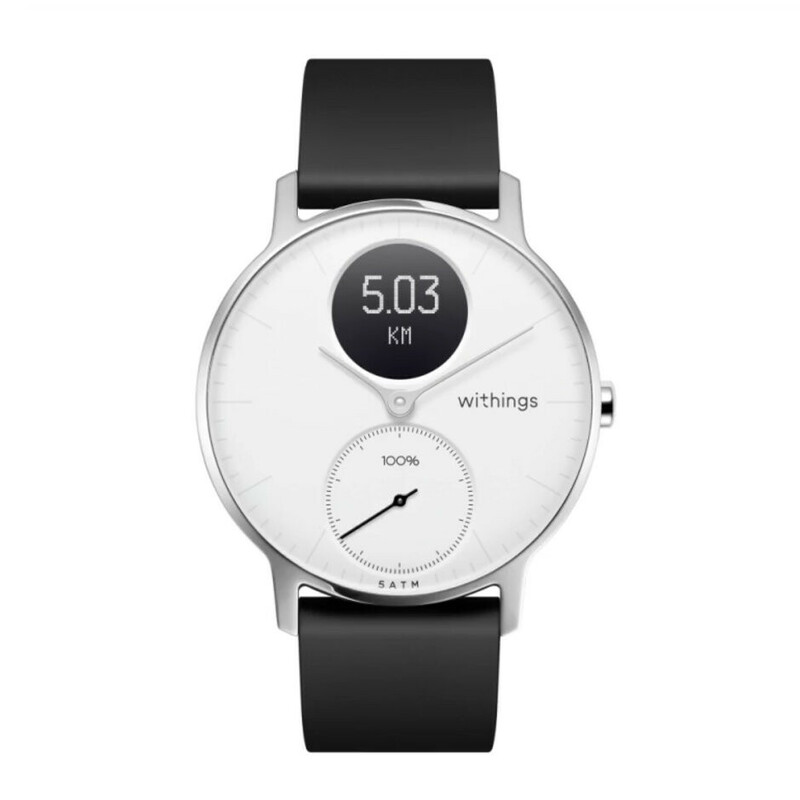 Now that Withings is freshly-divorced with Nokia, its not-too-shabby hybrid smartwatches are once again carrying the better known Withings naming. 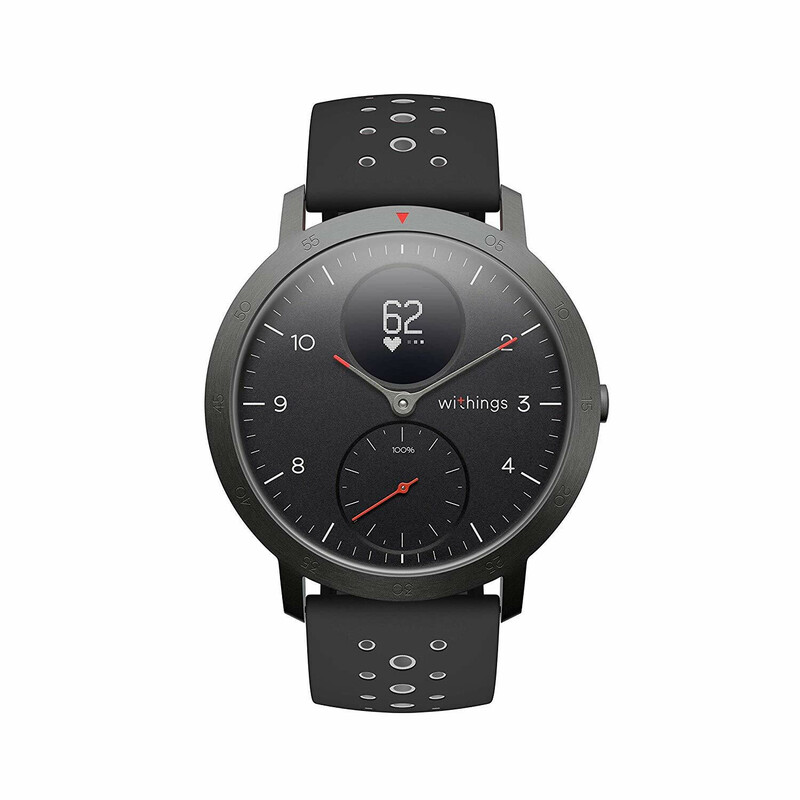 The best hybrid smartwatch in its current lineup is none other than the Steel HR Sport, a very nice wearable intended for sportier folks that not only combines the aesthetics and movement of your traditional watch with the smarts of a connected contemporary device, but also comes along with a heartrate monitor at the bottom, which is a very unusual feature for regular watches. 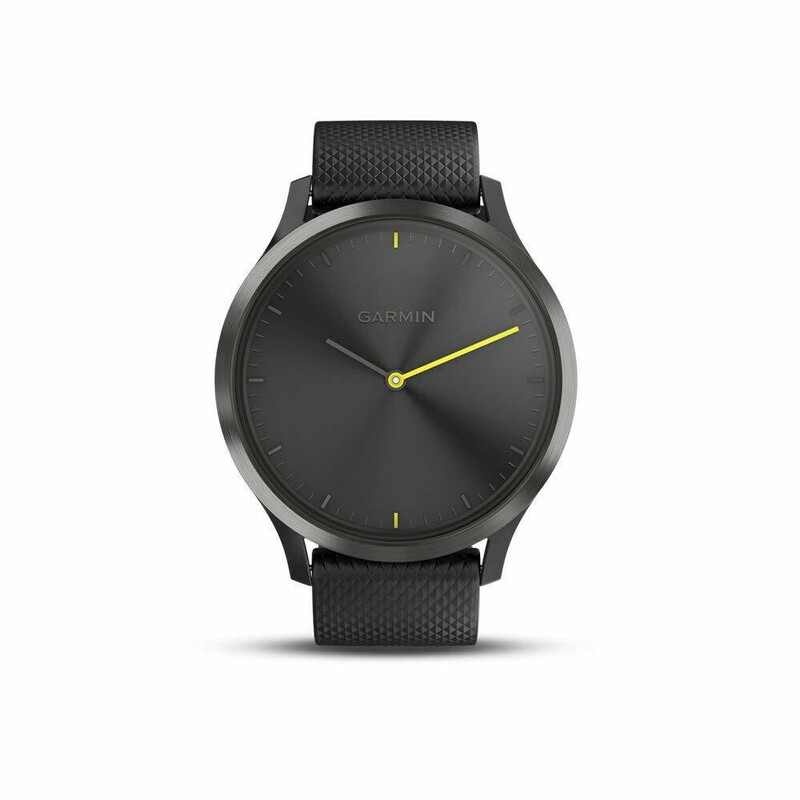 The Steel HR is water-proof up to 5ATM, has the more-than-acceptable 25-day battery life, and most importantly, an integrated circular display to showcase any smartwatch notifications you might have as well as your calorie expenditure, steps taken, ad finally, your heart rate. That's right, the "HR" in the wearable's name stands for heart rate, which is an unorthodox feature to have on hybrid smartwatches. It also has a traditional physical subdial that gives you insight on your daily progress. Some of the wearable's other features include sleep tracking and automatic detection of a plethora of sports and activities (even golf). Aside from the design differences, the only real difference between the Steel HR and the Steel HR Sport is the fact that the latter allows you to measure your VO2 Max, which is the maximum oxygen consumption of the individual and is important for runners and athletes. 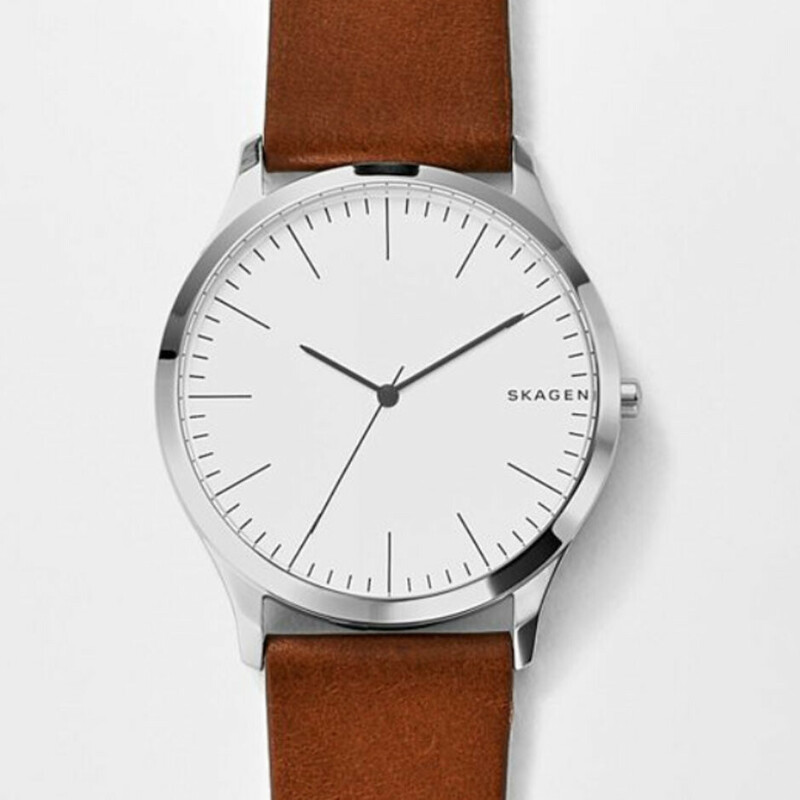 Danish watchmaker Skagen has quite a few smartwatches in its lineup, but it also has a bunch of excellent hybrid watches as well. 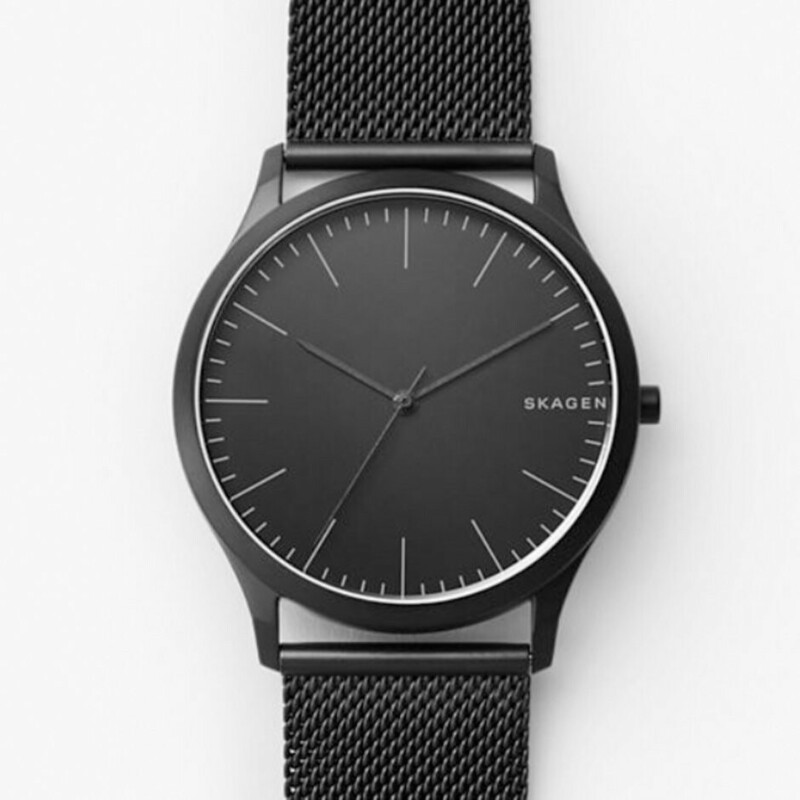 The Skagen Jorn caught our attention with its super-clean aesthetic and useful connected features, like automatic time and date adjustment, activity and goal tracking, sleep tracking, filtered email and text notifications, dual-time function, which allows the wearer to snap a photo, control their music and more-all with the push of a button. Not a bad feature loadout for the wearable. The wearable is water-resistant up to 3ATM and has a standard cell battery that would last between 4 and 6 months. Admirable! While it's true that the features of the watch are not as "smart" as some other watches of the same type, we still feel that it offers a very good balance between features, appearance, and overall price. 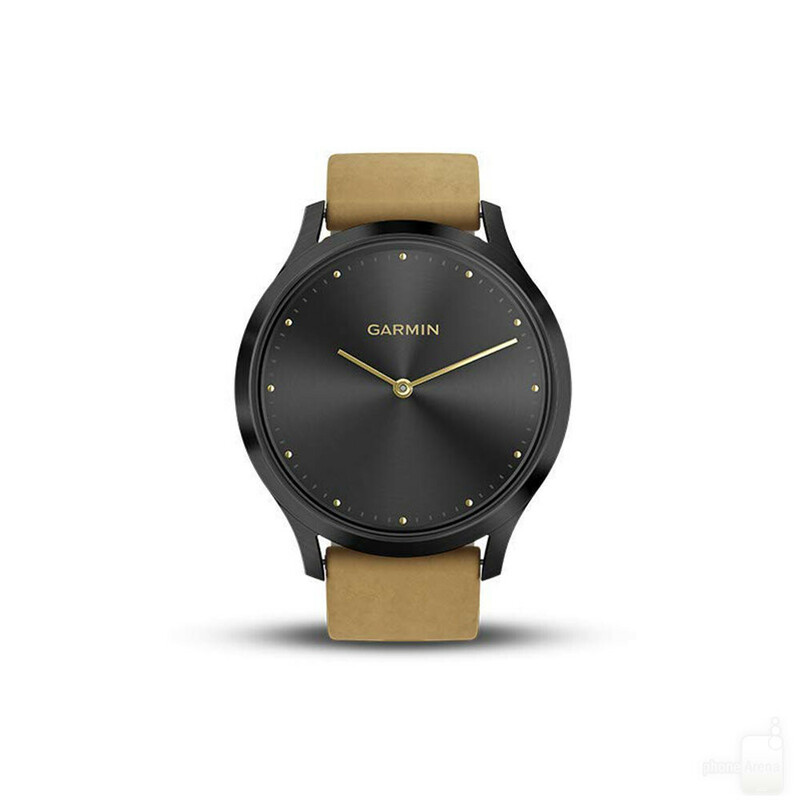 You can have this watch in a couple of color variants, with the classiest ones being featured just below. Garmin is popular with its sport-oriented smartwatches, but we shouldn't forget that it has a couple of hybrid wearables as well. The vivomove HR is the one we'd recommend, as it does not only look stunning but also has a commendable feature set. Most notably, it features a super-discreet transparent screen that would display your phone notifications and other tracked data when you need it. It's a touchscreen, mind you, so you navigate swiping around with your finger and not by pressingthe buttons on the side. As far as what data is being trackes, aside from the regular steps, heartrate, and floors climbed, you also get certain fitness monitoring tools such as VO2 Max and fitness age, which are among the highlights that Garmin seems very proud of. VO2 Max measurements are a staple of high-end fitness watches and the likes, so having this feature here is totally great. In terms of battery life, wearers can eke out up to 5 days out of the Vivomove HR in its default smart mode and up to 2 weeks in watch mode with all the smart features turned off. It sounds like you'd want to use it in smart mode all the time as the compromise in terms of overall functionality is hardly worth the not-so-long endurance in watch-only mode. Additionally, the touchscreen is a big selling point here, and having it disabled would be very odd. used to back kairos watches long time ago until they changed the design. now it just looks like a brick. Don't mind those idiots that mocked you for having a vintage Rolex but I imagine there would be a few that could learn to appreciate a fine piece of horology. Which vintage model do you have? Yes, this is indeed a tech site not an analog watch site. Ablogtowatch is a pretty good site for people who know the difference between quartz and mechanical movement. Or, you can just go to Cult of Mac and get mocked for telling everyone how great Windows 10 is. And I have the Breitling crosswind . TBH I do not feel nostalgia for anything, I love and admire mechanical works of art, but do I ever wanted to own something just to feel to belong to some group? That sounds really sad. When you're putting breitling next to tissot and Armani it's clear you don't have a clue about mechanical watches. They are quartz not mechanical watches. $1.3k for that Kairos watch? I pass. Except Kairos (which means nothing in the world of watches), none of those are mechanical, only analog. Still nothing interesting on a smartwatch highend. Let's see if new Garmins hit at least "that looks decent" mark.